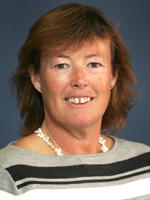 Sue Neales is the national agricultural and regional affairs reporter with Australia’s major national daily newspaper, The Australian. It is a job that has returned her to her roots - after 30 years working around the world as a Walkley-award winning foreign correspondent, war reporter, political and financial journalist, feature writer and magazine editor – back to her first job as a young cadet on Stock and Land newspaper in Victoria, following dual university degrees in agricultural science and journalism. Sue has worked for most major newspapers and magazines in Australia – The Age, The Sydney Morning Herald, the Financial Review, Good Weekend, the Bulletin, Australian Geographic and Outback magazines, as well as The Sunday Times in London. In her current role, she has the wonderful job of criss-crossing rural and outback Australia talking to farmers and local communities about their issues, and giving them a voice that reaches into the daily lives of urban Australians and key decision-makers.